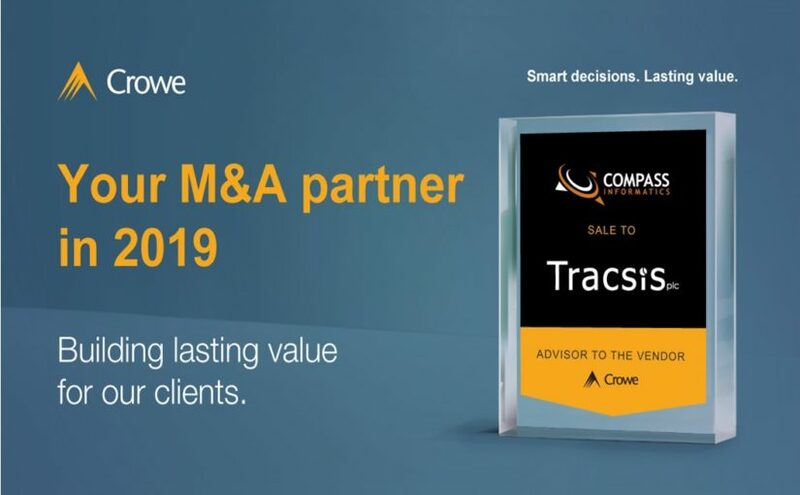 Crowe Ireland is pleased to have assisted in the successful sale of Dublin-based Compass Informatics, which operates the State’s Biodiversity Data Centre, to Aim-listed British company Tracsis. Compass, which employs 50 staff, was founded in 1997 by Gearóid Ó Riain. It has offices in Blackrock, Co Dublin and South Africa. Compass is a systems development and data analytics company that specialises in combining geographical information systems (GIS), location technologies, data analytics and field computing. The staff of the Irish business will transfer to the new owner. Crowe’s dedicated corporate finance team has a wealth of experience advising clients in M&A transactions. If you are considering the sale or purchase of a business we can help you maximise your investment.